Rate this project SparkyLinux is a Debian-based distribution featuring three different development branches and multiple editions. The project has released a new update to its Stable branch, based on Debian 9 Stretch. "New live/install ISO images of SparkyLinux 4.8 'Tyche' are out. 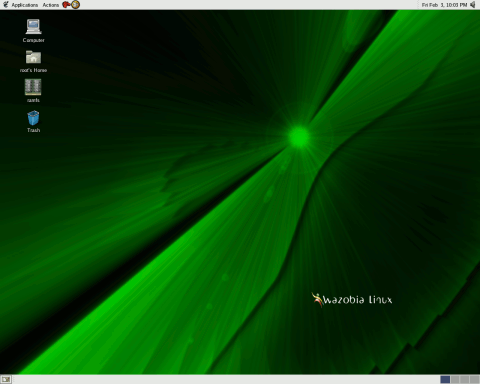 Sparky 4 is based on Debian stable line 'Stretch' and built around the Openbox window manager. 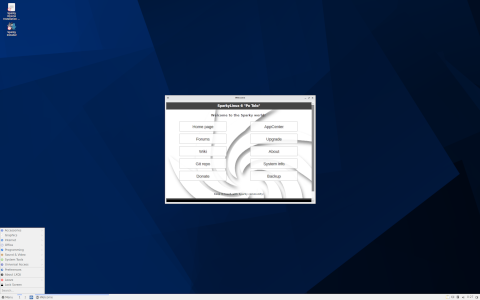 Sparky 4.8 offers a fully featured operating system with a lightweight LXDE desktop environment; and minimal images of MinimalGUI (Openbox) and MinimalCLI (text mode) which lets you install the base system with a desktop of your choice with a minimal set of applications, via the Sparky Advanced Installer. Sparky 4.8 armhf offers a fully featured operating system for single board mini Raspberry Pi computers ; with the Openbox window manager as default; and a minimal, text mode CLI image to customize it as you like." A list of changes can be found in the project's release announcement. Download (pkglist): sparkylinux-4.8-x86_64-lxde.iso (1,339MB, SHA256, signature, torrent), sparkylinux-4.8-x86_64-minimalgui.iso (808MB, SHA256, signature, torrent), sparkylinux-4.8-x86_64-minimalcli.iso (472MB, SHA256, signature, torrent).